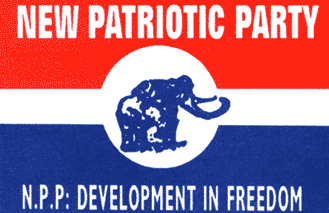 A youth organiser aspirant of the New Patriotic Party (NPP) in the Brong-Ahafo Region has pledged to ensure that the Party wins at least 26 parliamentary seats in Election 2020. Currently, the NPP has 20 out of the 29 parliamentary seats in the region. But, in an interview with the Ghana News Agency on Monday, Mr Michael Osei Boateng, the aspirant who is the Regional Director of the Youth Employment Agency (YEA), said the Party would chalk impressive wins, not only in Brong-Ahafo alone, but other regions as well. “This is because President Nana Ado-Dankwa Akufo-Addo’s government has laid a solid foundation and very soon Ghanaians will begin to enjoy fruits of it, he said. He said even though the political atmosphere was not in favour of the NPP in Election 2016, the Party in the region managed to add seven parliamentary seats to the 13 that it had, and predicted a “great doom” for the National Democratic Congress (NDC) in 2020. Mr Boateng said the implementation of the Free Senior High School policy, Planting for Food and Jobs programme, restoration of Nurses and Teachers Trainee allowances as well as the revival of the National Health Insurance Scheme (NHIS) had already made the NPP even popular and increased its chances of victory in the Election 2020. “When the One-District-One-factory (1D1F) and the One-Village-One Dam projects set in, the NDC would be convinced and understand truly that Ghana could be developed beyond aid”, he said. Mr Boateng said youth unemployment remains a huge national challenge and to address that the YEA had developed new modules, saying very soon thousands of young men and women across the length and breadth of the country would be engaged. He said the government has created a great opportunity for the members and supporters of the NPP to intensify campaign and highlight its flagship programmes to convince particularly, floating voters to appreciate the effort of government to ensure accelerated national development.